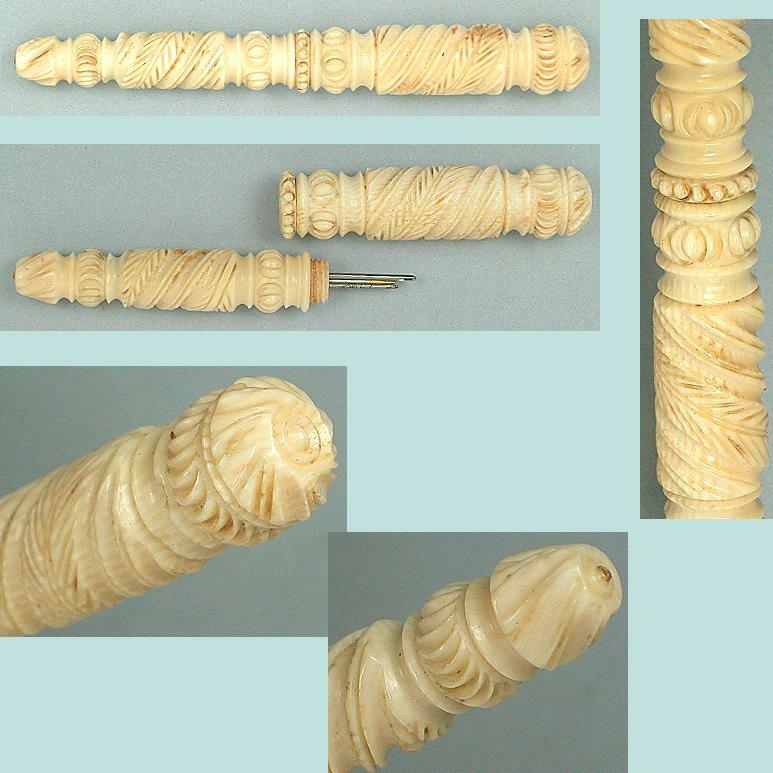 This little antique clamp is made of ivory and smoothly carved with concentric circles on the end. A green silk pincushion sits on the top. This style of clamp was made in China for English export in the early 19th century. The condition is excellent with no chips, cracks or other damage and the screw holds securely. The silk cushion is also in excellent condition. It measures about 3 1/8" tall with the screw half way in as shown. 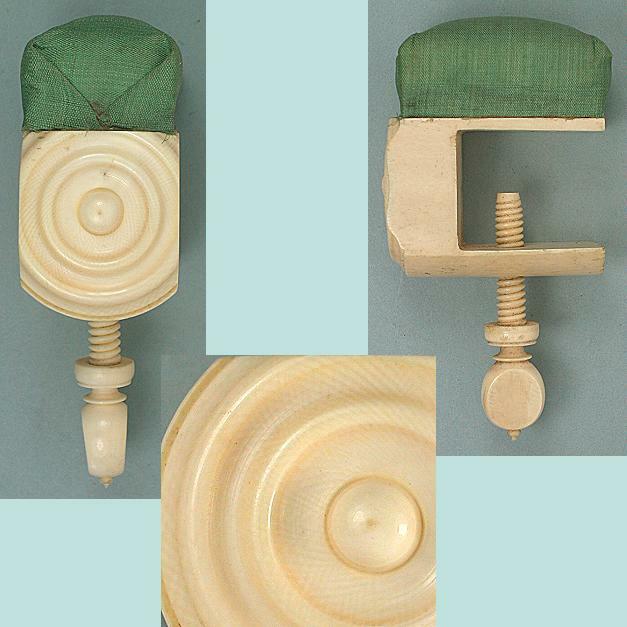 A very similar clamp is shown on p. 178 of Gay Ann Rogers' book "An Illustrated History of Needlework Tools".